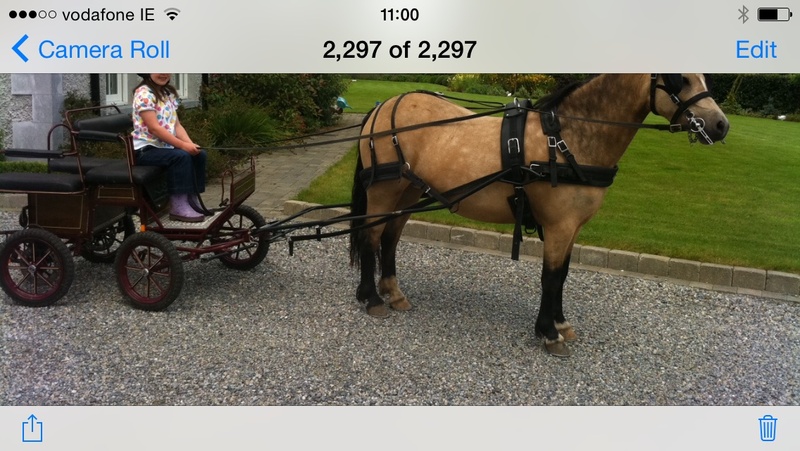 Used only a few times this carriage can be used for a pair of minis or converted to a single small pony. 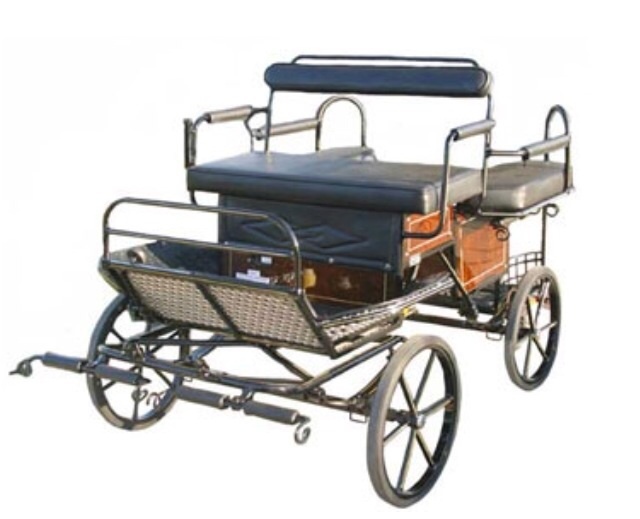 The actual carriage is the one pictured with pony. We also have all the parts for a pair.